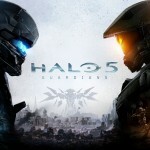 Much noise has been made in Halo 5’s marketing campaign about the hunt for truth, setting it up as a muscle-bound game of cat and mouse between the legendary Master Chief and plucky franchise newcomer Jameson Locke, but when you get right down to it Guardians is still just a game about shooting things in the face, where the gung-ho narrative takes a back-seat to all the neon explosions and oh-so-pretty lights. The Chief has gone “rogue”, sort of, and Locke has been sent to bring him home, but the dynamics of that particular grudge match are dwarfed by the bigger problem of the titular Guardians, the ancient superweapons currently being reactivated by a morally ambiguous Cortana. In truth, the much-publicised chase-down is more a framework for the narrative than a high-stakes battle of wills. That’s not necessarily a bad thing by any means, but anyone going into Halo 5 expecting to see a more cerebral or story driven adventure may be disappointed. It’s a game of give and take throughout and, rather than feeling like a culmination of the franchise, it actually omits as much as it adds. There is a little more characterisation. Locke’s Fireteam Osiris, comprised of Spartans Vale, Tanaka, and Buck (played wonderfully by ODST’s loquacious Nathan Fillion) interact constantly, delivering tidbits of backstory and plot filler as you go, revealing details about themselves and the universe in-between their light-hearted vocal sparring. 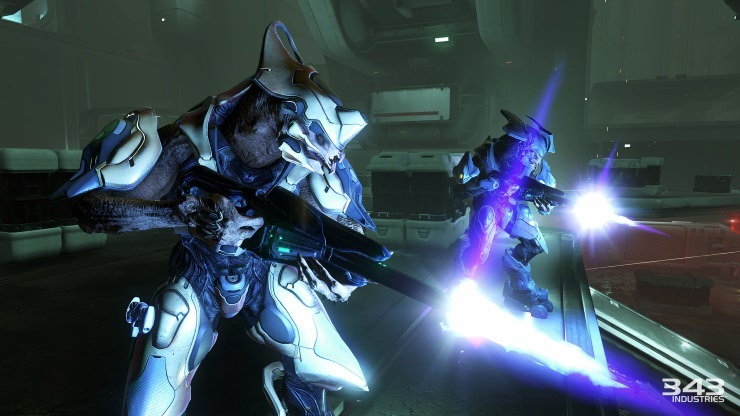 Master Chief’s Blue Team are decidedly less interesting despite them being more established characters thanks to their roles in the extended universe (Linda, Fred, and Kelly are veteran Spartans almost as prolific and proficient as John-117 himself), and come across as nothing more than extra guns to point at the enemy. There’s also the issue that these characters are, for the most part, going to be unknown to the people who play the core games and ignore the meta, leaving them lost as to where the hell they’ve come from. 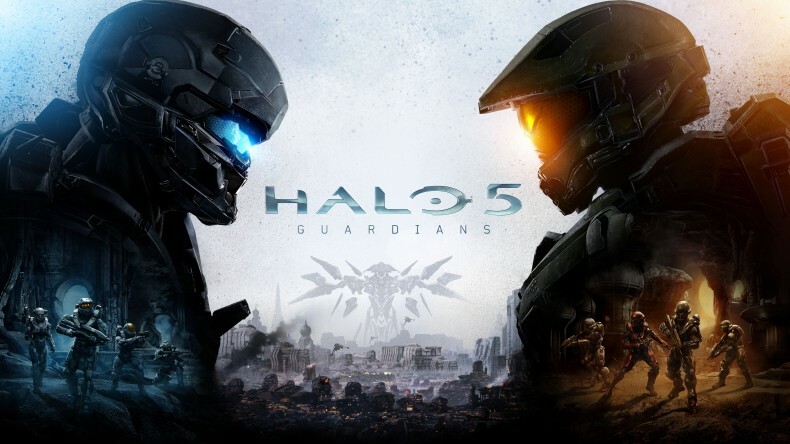 It’s an often disconnecting narrative choice that slightly undermines the gravitas of returning characters like Dr. Halsey and the Arbiter. The biggest downside to the presence of Blue Team and Osiris, though, is that they are here to ensure the campaign is always a four player affair. As such, Halo’s “lone hero” dynamic is gone, replaced by a basic squad shooter that becomes far too easy on normal difficult and relegates some of the coolest moments to cutscenes. 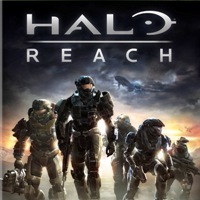 An early fight against one of the biggest antagonists in the Halosphere becomes a pretty movie instead of a boss battle, and a daring escape across collapsing teleporter platforms as they plummet into lava makes a great cutscene when it would have made an excellent playable set-piece. As trailer-friendly as these moments are, they reduce the actual gameplay to a sequence of gunfights interspersed with vehicle sections and thus remove a lot of potential variety. Thankfully, the combat is the best the series has offered so far. The extra moves make for a much more dynamic battlefield. A shoulder charge move can destroy certain walls or flatten your enemies, and a new ground slam that you can aim mid-air can be a life-saver when you need to reach a downed comrade (going down in battle is more an inconvenience now thanks to mid-fight revivals). Additionally, being able to mantle ledges and boost to dodge or add distance to a jump makes getting around easier. Oddly, there’s no difference between playing as Chief or Locke, so you never really feel that there’s much point in hopping between the two from a gameplay perspective. For a shooter, the campaign is pretty meaty, packing in a good ten hours of carnage across some truly beautiful, gargantuan environments. 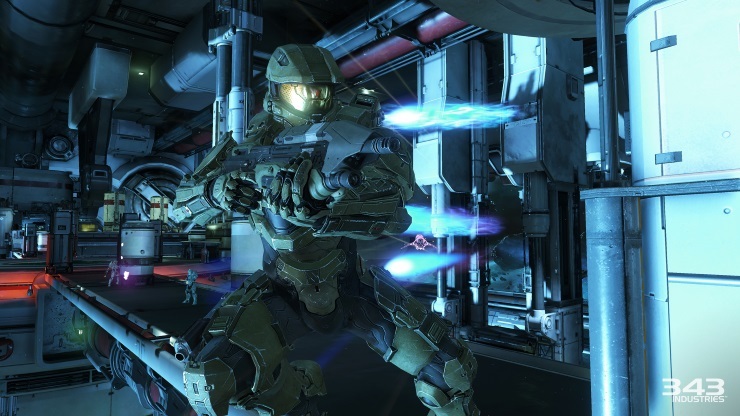 The open-plan level design is Halo at its best, offering multiple routes and vantage points, as well as a dizzying amount of weapon types. Vehicle sections are spaced out well, but always offer a breath of fresh air as you take to the skies in a Covenant Banshee or a Promethean Phaeton, or jump in a Scorpion Tank or a walking Mantis suit. The campaign may not be the most diverse, but it’s utterly exhilarating from start to finish. Although a recurring boss encounter eventually becomes a little tiresome, the second half continuously presents some stunning FPS design. The multiplayer has seen some fairly radical changes, though there are still balancing issues with certain weapons (pistols and shotguns are still far too overpowered in most encounters). The new Requisition Packs seem like a great idea, though time will tell, really. Cherry-picking ideas from a variety of shooters like Mass Effect 3 and Battlefield, the new reward system gives you points per match to spend on tiered packs. Once open, they contain armour pieces, emblems, weapon skins, and various other modifications, as well as in-the-field care packages containing vehicle and weapon drops. If you have too many you don’t use, you can sell them back to recoup some points. It’s a decent system, though it’s not explained very well and I had to figure it out through experimentation. Several new arena modes make for a more diverse playlist alongside existing favourites like Capture the Flag and Team Deathmatch. For example, Stronghold is like Hardpoint, requiring you to hold two of three zones in order to score points for kills, while Breakout is a one-life, no radar version of CTF that offers fast-paced mayhem that feels similar to Destiny’s Trials of Osiris event. The star of the show, though, is Warzone. 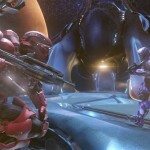 A 12 vs 12 event, Warzone throws enemy and ally AI into the mix alongside objectives and periodic boss battles that offer huge points boosts for the team that takes them down. The maps are huge, multiple area goliaths full of choke points, killing grounds, vehicle runs, and sniper vantage points. The whole mode feels fresh and exciting. 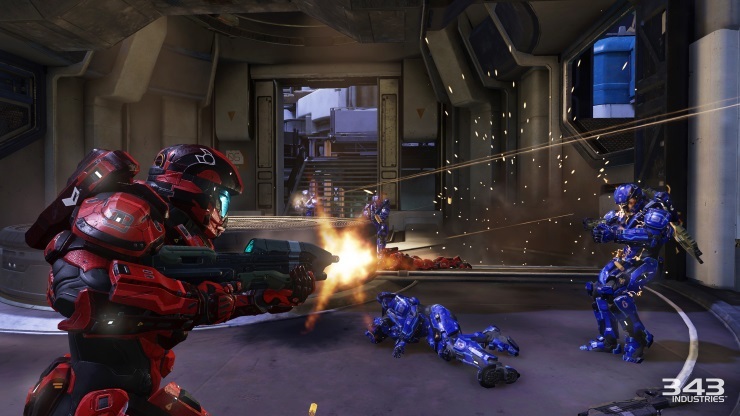 Perhaps because we’ve been playing Destiny and Battlefield for the last few years, something feels lacking in Halo 5’s maps. The layout is fine, but there’s something almost cold and clinical about them – even the outdoors maps feel somehow hollow. There’s a lack of palpable atmosphere in some of the arenas that makes them feel less captivating or hypnotic than previous entries. As it stands, it’s not overly off-putting but it does make the multiplayer less immediately alluring. 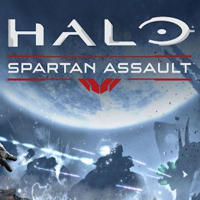 That said, if you’re a fan of PVP, there’s plenty to sink your teeth into, even without Halo 4’s Spartan Ops or Reach’s combat challenges. 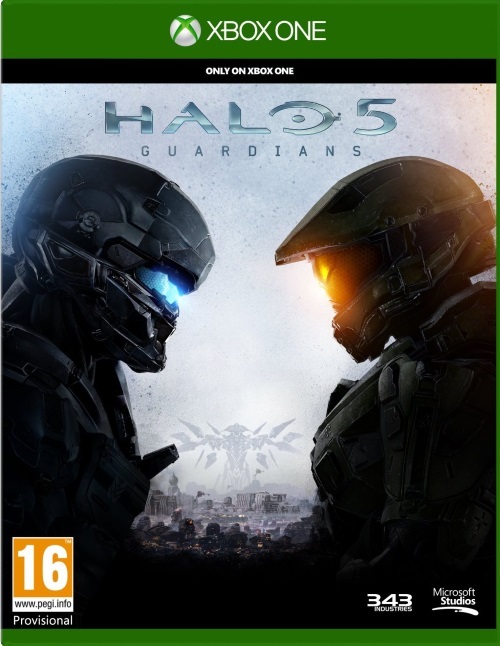 Halo 5 boasts the best campaign since Reach, mixing enormous, beautifully detailed environments with fast-paced, exciting combat across some of the most interesting and colourful locales 343 has ever produced. While the multiplayer needs to ferment a little to bring out its true flavours and the necessities of storytelling rob the campaign of some potentially stand-out set-pieces, this is still a huge, satisfying package that ticks every box on the list. The best Halo campaign since Reach, Guardians is a return to form - but more Chief next time, please, and less microtransactions.